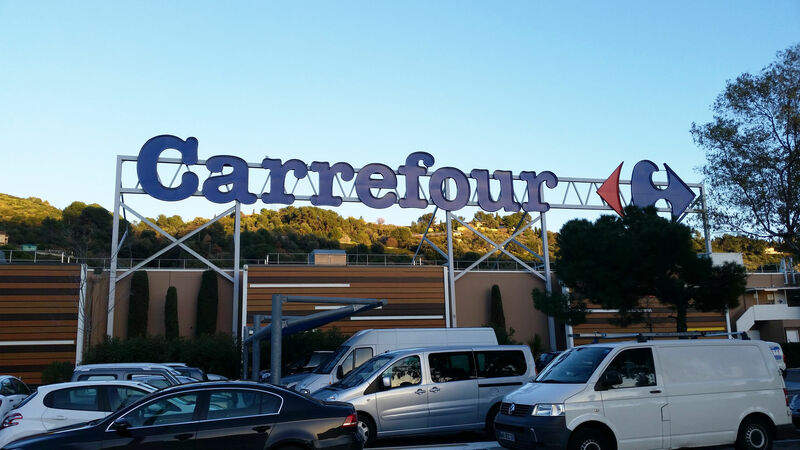 After years of inertia, Carrefour is finally innovating, and beyond French borders. Our expert Jean-Marc Mégnin travelled to Warsaw to explore a whole new concept store version of Carrefour Market. He came back excited about what he saw. What is the context for Carrefour’s new concept store? The Group’s transformation is underway, and Alexandre Bompard’s 2020 plan has kicked off. In particular, this plan includes a reworking of their global offer, especially surrounding “food transition”. Of course, reinventing their stores is a priority. Tests and innovation are on the rise… Not only to track what’s being done already, but also to re-anticipate and offer new forms of “hybrid” commerce that suit the new consumer landscape. To start: “Le Marche”, a new concept being tested in China. Following its successful partnership with Chinese giant Tencent – founder of the WeChat application – Carrefour has launched its first smart store, “Carrefour Le Marche”, in Shanghai. One mechanism the Group is testing there is payment via facial recognition, which is even faster than mobile payment. It might seem like there’s a disconnect from reality and local needs here, but in China, a place where technology plays such an important role in everyday life, this initiative makes total sense. Currently, the goal for Carrefour in China is to “learn”; new partnerships with Tencent as well as Yonghui are essential to changing internal cultures. In Warsaw, you saw a Carrefour Market where every aisle has a virtual equivalent. It’s been open for two months, and I think the advantage of this concept of a store is that it offers a good “combination” of current trends: the perfect mix of brick-and-mortar and digital experiences. The main new feature is that the entrance to each aisle is equipped with an enormous smart monitor that shows exactly which product ranges are physically in the aisle. Fully integrated with merchandising, the experience is smooth and easy to use. So, customers have a choice. They can pick out the products they want from the aisle itself, place them in their “physical” basket, go to the till, and go home. That’s the traditional option. Or, they can scan products displayed on the smart monitors as they shop using the Carrefour Scan&go application, and then leave the store with empty hands and without going to the till. That’s the “cashless” option. Their groceries will be delivered six hours later. I have rarely seen a store so fully developed, digitally speaking! Why was this concept store created in Warsaw? Apparently, a special French Carrefour team for innovation and research was set up in Poland. That explains the choice of location for this very successful initiative. What other new features caught your attention in the concept store? First off all, there was a real priority placed on fresh produce, baked goods, seafood, meat, and cheese. And in the middle of all that, there was a true dining area with tables right in the store. For the first time, Carrefour has decided to call on chefs within the Group. Typically, dining areas are outsourced to other food service partners, or other brands like Kelly Deli. This is a trend you’re seeing everywhere: the store is becoming a place to eat. Moreover, the “Le Marche” Carrefour in Shanghai that we talked about earlier is using the same approach, offering a real dining experience rather than a deli. What do you think the next step will be for Carrefour? Bringing together all these innovations and changes that are currently transforming brick-and-mortar commerce, and which are helping commerce bounce back. What needs to happen? “Hybrid” commerce, where every possible scenario for consumers is accounted for: buy and carry out, order and pick up, order and have delivered (even a single product! ), or sit down in the store and eat the products sold in the fresh self-serve aisles of the store. The store’s offering must be made more appealing by reinventing its mission, based on a central aim: make people want to come, and make them want to come back. Finally, a brand must work on offering its customers total freedom: above all, they must have choices. In particular, this means they must be the ones managing the transaction process. In the future, you’ll be able to take a bottle of water from the shelf and drink it straight away; it’s fine because it’s already been scanned and paid for!